Celine Tricart is a director who has developed a unique and recognizable style with a strong visual sense due to her background as a director of photography. Her work was showcased in numerous Academy Awards qualifying festivals including the Sundance Film Festival, SXSW, the Austin Film Festival, the Clermont Ferrand Film Festival and the Chicago Film Festival. Celine was the recipient of a Creative Award by the Advanced Imaging Society amongst many other accolades. Celine directed two PSAs including one for River LA featuring numerous aerials shot with a drone which won a Telly Award. She is also involved in the television world and co-wrote a series named “The Nights” that was selected in round two of the Sundance Episodic Lab. She recently worked in the camera crew of HBO's "Westworld" season 1. Celine Tricart is also a world-renowned 3D and Virtual Reality expert. As such, she worked on cutting-edge films including the first French 3D feature film "Behind the Walls", making her the first-ever female feature film stereographer (aka stereoscopic 3D supervisor) in the world. She later worked on well-known franchise films such as “Transformers 4: Age of Extinction” and “Transformers 5: the Last Knight”. She wrote two books published by Focal Press and available worldwide, “3D filmmaking” and “Virtual Reality Filmmaking”. Celine was also the director of photography of a Shinola VR commercial directed by Andrew and Luc Wilson which won a Lumiere Award for Best Branded Content. In 2016, Celine founded Lucid Dreams Productions, a production company specializing in new technologies and the future of storytelling which was involved in numerous award-winning experiences such as “Under The Canopy” for Conservation International. 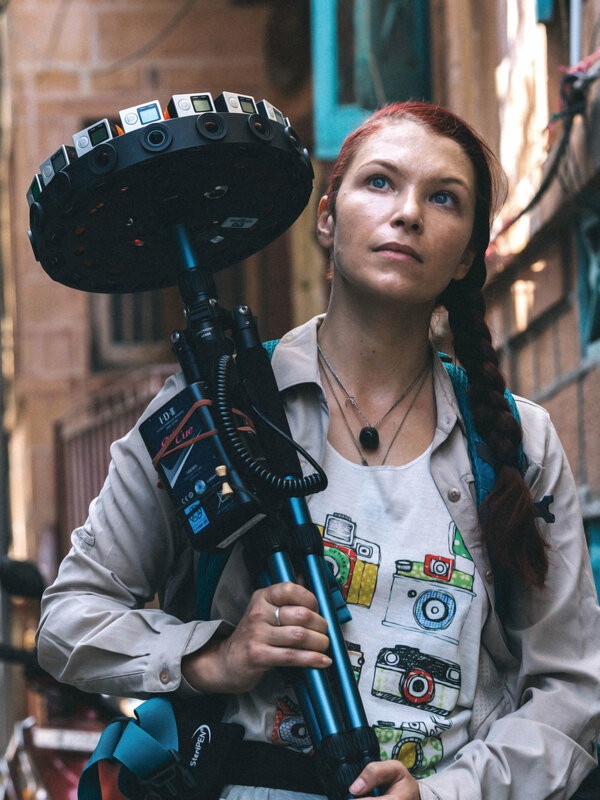 In 2017, Celine co-directed Maria Bello’s “Sun Ladies” VR experience about the women Yazidi fighting ISIS in Iraq which was selected in the 2018 Sundance Film Festival and SXSW. For this, she had to travel through ISIS-held territory to meet the women soldiers at the border between Iraq and Syria and record their stories.